The Glider is constructed with an unique design, featuring a padded seat for those moments where you need a breather on the course, a lightweight steel fame and extra comparatmenets to store valuables and accessories. This model boasts steady and secure performance and is made to withstand the toughest of courses. 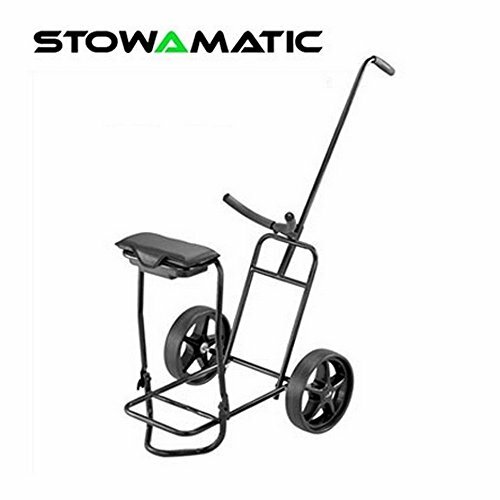 Dimensions: (H) 43.3" x (W) 22.04"x (L) 49.6"
Folded Dimensions: (H) 11.02" x (W) 22.04" x (L) 28.7"
If you have any questions about this product by Stow a Matic, contact us by completing and submitting the form below. If you are looking for a specif part number, please include it with your message.